Welcome to our 6500 Watt Generator buying guide. We review 4 of the best 6500 watt generators available. For most applications, these generators provide enough power to satisfy your power needs. It’s essential to figure out how much power you actually need before deciding on what size generator to buy. We think you’ll find this guide help you decide which generator is right for you. A6500W generator is one of the best investments that you can make. 6500 watts is quite a lot of power and will provide you with a reasonable backup electricity supply when the mains power fails. It’s also portable enough to take with you on vacation or to use on a job site. When using a 6500W generator to power your home, you may need to compromise slightly. You won’t, for example, be providing enough power for an HVAC system. That is if you plan on using anything else. But for a refrigerator (or two), room air conditioners and all your other basic appliances, a 6500W generator will be sufficient. If you plan on using a 6500W generator for your RV, it’s ample and you should be able to run everything you need. For most job site applications, a 6500W generator is ideal. If you’re going to be prepared for the next natural disaster, any of these fine generators would be a valuable part of your arsenal. Provided that you have enough gas, these 6500W generators will keep your home running like normal for as long as you need them to. The same can be said for having the comforts of home when out in the wilderness. One of the best heavy-duty 6500 Watt generator. Professional quality and engineering. Heavy duty frame. X Frame – Fully Wrapped, Heavy Duty 12 Gauge Steel Tube Provides rugged durability and protects the generator and fuel tank from damage. Steel Lifting Pocket Designed for easier lifting and transportation on jobsites by crane or forklift. Generac G-Force Engine Features Best-in-Class power with full pressure lubrication and is optimized for generator use. Impact Resistant Fuel Tank Design Recessed tank edges reduce damage when transported by forklift. Full Panel GFCI Protection OSHA compliant with covered outlets to protect from the elements. Easy Access To All Routine Maintenance Areas Including filters and spark plugs; no need to remove fuel tank or side panels. Never Flat Wheels With Steel Hubs Makes movement around the jobsite easy and efficient. Protected Axle Integrated into frame, shields from impact during transport. Welded Steel Feet Reinforced for superior durability. Fold-Down Locking Handles Features one-handed locking mechanism for easy storage. Engraving Plate Allows unit to be tagged / cataloged for use in contractor and rental fleets. TruePower Technology Provides clean, smooth operation of sensitive electronics, tools and appliances. Idle Control Reduces noises and conserves fuel for extended run-times. The Generac XC series has been designed for the hard working conditions of a construction site. So whether you’re planning to use the Generac XC6500E generator on a job site, at home, or take it camping, it’s going to handle some rough treatment and still keep going strong for many years. The 12-gauge steel tubing frame protects the generator and the fuel tank better than most. The frame completely surrounds the generator and the fuel tank, additional protection is provided by shock resistant panels around the tank and the control panel is recessed so it won’t be easily harmed. A heavy-duty lifting eye at the top assists when lifting the generator and it’s easy to load using a forklift, crane or winch. Strong fold-down handles and wheels also help make this 257-pound brute easy to move around. It has very sturdy standing feet that provide a solid base for the generator on any surface and reduce the vibrations when running. The Generac G-Force 426cc engine fitted to the XC6500E is a great machine. It’s one of the few small engines to use a fully pressurized lubrication system and is designed for great performance and durability. An idle control switch allows the generator to run at lower revs when in standby mode and will, therefore, save on your gas consumption and reduce the noise levels. You’re going to get a really good run-time from the 8.5-gallon gas tank – 14-hours at 50% load. This works out at 5.35 Kilowatt-hours per gallon, which is well above average fuel consumption for a generator of this size. The engine is designed for easy maintenance with quick access to the filters and spark plug. It also has a digital hour meter to keep track of your service intervals. You can reset the hour meter, so you can see at a glance how many hours you’ve done since the last service – there’s no need to try and calculate where stand. It also has a fuel gauge to make things easier. Low oil shutoff protects the engine and you have the convenience of electric and recoil starting. An electric starter certainly takes the effort out of starting a larger engine and the benefit of having a backup recoil starter means that you can start the engine when the battery runs low. The alternator is just as great, by using True Power technology, the Generac XC6500E delivers exceptionally stable power with less than 5% Total Harmonic Distortion (THD). While this is not quite as good as an inverter generator that usually delivers less than 3% THD, 5% is an excellent figure for a standard type alternator and is just within the maximum tolerated THD levels for electronic equipment. It also gives you heaps of power with a constant running wattage of 6500W and a peak (startup) current of 8125W. This gives you quite a lot of extra power for starting large tools, a refrigerator or air conditioner that all require a high startup current. I really like the control panel for its logical layout and the way everything is protected from harm, this includes strong covers for the electric outlets. There are four standard 120V 20A outlets, a 30A 120V (L5-30R) outlet, and a 30A 120V/240V (14-30R) outlet. So you can use extension cords directly from the standard outlets, use high-current 120V tools and appliances, or connect it directly to your RV or house power (using a transfer switch). Each circuit is protected by an overload circuit breaker and the entire control panel is GFCI protected, so there’s no chance of accidental electrocution. I also like the easy to use single switch that controls, the run, start and stop functions. Click image to see all of the fantastic features of the Generac XC6500E. The Generac XC6500E gives you the complete package. It’s an extremely powerful 6500W generator with a good deal of extra power to handle startup surges, whilst still providing really stable power. It’s built tougher than most, so it’s great for those of you who intend using it in abnormally hard working conditions. With a 3-year residential warranty and a 2-year commercial warranty, the guys at Generac are certainly quite confident about the quality of this 6500W generator. Best 6500 watt inverter generator. Ultra-quiet, clean power. Ideal for sensitive electronics. Suitcase-style telescoping handle makes it easy to move the generator around your garage and property. The Briggs & Stratton Q6500 isn’t the same tough burly beast as the Generac XC6500E. It’s a more refined 6500W generator, designed for quiet operation and it’s really light and compact for a generator with this kind of power output. Making it the perfect 6500W generator for using in a campsite or in a suburban area where your neighbors, already jealous about the fact that your lights are on while theirs are not, may be quick to complain about a noisy generator. It’s also not quite as powerful as the Generac with a peak power output of 6500W and a running wattage of 5000W. The modern sleek exterior of the Briggs & Stratton is certainly very appealing with a curved and very compact shape enclosed in a plastic housing. This design is not just to give the generator good looks, it has a practical advantage in that the enclosure contains the noise. At 25% load, the Briggs & Stratton produces 66dBA. This noise level is comparable to a normal conversation. Even at full power, this generator won’t be a disturbance from a few yards away. It also weighs a mere 128 LBS. This may seem on the heavy side if you’re going to lift the generator, but it’s far lighter than just about any in its class. A telescopic handle (that retracts) and solid wheels make it extremely portable. The 306cc engine is a smooth running unit is remarkably easy to start. Briggs & Stratton have done a lot of work recently in improving their engine design, especially when it comes to all-weather starting. One of the disadvantages of their weight saving strategy is the exclusion of an electric starter. By losing the extra weight of the starter motor and battery, Briggs & Stratton have managed to shed a few pounds off the overall weight of the generator. But this means that you only have a recoil starter. Since this engine starts really easily, this shouldn’t be too much of a hindrance. Truly a remarkable inverter generator with plenty of power. Fuel consumption is fairly reasonable. It has a 5-gallon gas tank and this provides a 14-hour runtime at 25% load (4.55 kilowatt-hours per gallon). By converting the runtime to kilowatt-hours per gallon, it’s much easier to see exactly what your fuel consumption is and this makes it easier to compare the various models when it comes to actual fuel consumption. This is like comparing a car’s fuel consumption in miles per gallon. So when we compare the 4.55 kilowatt-hour per gallon for the Briggs & Stratton to 5.35 for the Generac model that we’ve just reviewed, the Generac produces more watts from a gallon of gas. The Generac is well above the average fuel consumption for a generator of this size, whereas the Briggs & Stratton is closer to the average – perhaps a little thirstier than most. The engine is protected by low oil shutoff and it has a fuel gauge but no hour meter. You’ll need to estimate your service intervals by your average working time. This generator has a good array of outlets and these are also protected by plastic covers to keep dust and moisture out. You’ll get 4 standard 120V household outlets and a 120V/240V 30A locking outlet as well as 2 USB outlets to charge cell phones, tablets, and other similar devices. It has warning lights and circuit breaker protection. Even though the twist lock 120V 240V is the standard 30A design, it only delivers 20.8A when using the 120V RV adapter. This is 2500W, a lot less than the total output of the generator. So this will mean using multiple extension cords if you intend maximizing the generator’s output when using an RV style plug. Basically you’ll need to use the standard outlets as well as the large RV plug, otherwise, the RV circuit will trip once it goes over 20.8A. Basically, you’ll need to spread the load over various outlets. Starting the Briggs & Stratton Q6500 is an easy process. Right next to the recoil starter handle (which is at the front of the control panel) is a choke and a simple run, stop dial. Everything is perfectly accessible and easy to use. It has a power meter so you can monitor the output voltage which is incredibly stable for a non-inverter type generator. The Briggs & Stratton Q6500 may not be as tough as some of the others in this review and is also not the most powerful. It makes up for this in other ways though. The fact that it runs really quietly and isn’t at all heavy (compared to the others) could make it a better option for home and RV users. Contractors might prefer the heavier, more robust generators that use a conventional open frame design – they can handle rougher treatment. Honda generators are hard to beat in terms of quality. Consistent power with iAVR (Intelligent Automatic Voltage Regulation) technology : Ensures a consistent flow of power regardless of the load. ✓ View or download the MANUAL for the Honda EB6500 — EB6500X1AT. The Honda EB6500X1AT is another seriously tough generator that’s designed and built to work hard and take the knocks that life throws at it. Many contractors and Farmers will be prepared to pay extra for this generator that’s not going to give up the ghost, even under very strenuous conditions. The Honda delivers good power and has quite an impressive fuel consumption spec. It’s also one of the quieter open frame generators with a noise level of 75dBA at its rated 5500W load, this is thanks to the improved muffler design which also includes a USDA-qualified spark arrestor. The Honda iGX engine is superb. To my mind, this is one of the best engines ever built. The GX series engines from Honda have a longstanding reputation for durability and reliability. Not to mention, that you’ll probably be able to get spares for this engine for the rest of your life. The iGX engine includes electronic ignition for greater reliability and fuel economy, as well lower service costs and easier maintenance. The iGX390 used in this generator has a capacity of 389cc. This engine is really economical to run. You’ll get 10.4 hours at 50% load from the 6.2-gallon gas tank – 5.45 kilowatt-hours per gallon is slightly better than Generac 6500W generator which is already one of the best in the fuel economy department. It produces only a slightly lower peak wattage than the Generac. Running watts are the same at 6500W (though its rated load is 5500W), with a little less when it comes to peak power (7000W). The lower rated load really means that it shouldn’t exceed 5500W for longer periods of time, even though it can produce 6500W for extended periods (longer than the 10-second peak load). Like the Briggs & Stratton, the Honda also has only a recoil starter. Naturally, the Honda engine has low oil shutoff protection. The steel tubing frame is as tough as it gets and also protects the fuel tank from dents. It has a very good folding handle and strong wheels, as well as a lifting eye for easy loading. 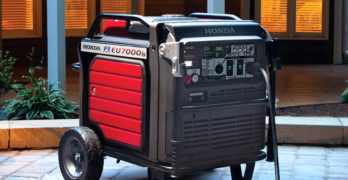 As with any tough commercial 6500W generator, the Honda is no lightweight. While not quite as heavy as the Generac, the Honda comes pretty close at 220 LBS. Hanger kit/lifting eye for easier moving around the job site. The control panel is really good. Though unlike the previous two 6500W generators in this review, the Honda doesn’t have covers for the outlets. Maybe this isn’t such a big deal, but for a hardworking generator that’s often going to be found on construction sites, protecting these outlets from dust would be an advantage. It has 2 X Duplex 125V 20A GFCI outlets (equivalent to 4 standard household outlets); a 30A 125V outlet and a 30A 125/250V outlet. A selector switch allows you to choose between 125V only or 125V/250V operating modes. All the outlets are protected by overload circuit breakers. Honda reliability and service is legendary and has been a favorite amongst people who want a generator that’s going to outlast most others. It’s certainly a commercial-grade 6500W generator and their 3-year warranty for both residential and commercial use is proof of this. How many generator manufacturers specify the same warranty for commercial use as they do for light-duty work? iAVR Output : 7000W (58.3/29.2A) for 10 sec. Fuel Tank Capacity : 6.2 gal. Dry Weight : 220 lbs. Industrial-grade 6500 watt generator. Powered by a Honda engine. This is a more industrial-grade generator when compared to the other Briggs & Stratton model that we reviewed. At a very competitive price, it ranks well alongside the Honda and Generac generators as a tough machine designed to handle job site working conditions. It uses a similar engine to the Honda EB6500X1AT. For this generator, they’ve used the GX390 which is the same basic engine without electronic ignition. When it comes to durability, it’s just as great. This engine runs a remarkable alternator with a good automatic voltage regulator, providing a stable current for electronic appliances. It’s also an impressively powerful generator, providing 6500 running watts and a peak power output of 8125W. 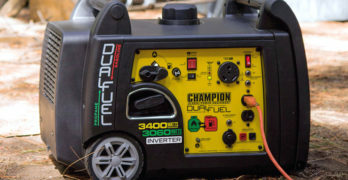 Fuel consumption is reasonable for a generator of this size but, like the other Briggs & Stratton generator, this is not the best that you’ll find. The 7-gallon tank will provide 10-hours of runtime at 50% load – 4.64 kilowatt-hours per gallon. It’s a heavy machine with a full wrap-around steel frame. At 231 LBS, it’s not easy to lift but this high weight spec indicates that it’s built about as tough as they come. Four large wheels make moving the Briggs & Stratton 30557 easier than most – generators usually only have two wheels and this means lifting the front end whilst moving it about. It also has great fold down handles. It doesn’t have as many standard 120V outlets as the others, this generator has two 120V 20A outlets, whereas all the others have four. It has two 30A outlets – one being 120V and the other 120V/240V. It also has a 12V battery charging outlet – something none of the others do. The AC outlets all have GFCI and circuit breaker protection for complete safety. Like the Honda, this generator doesn’t have covers protecting the outlets. It has a digital hour meter as well as a fuel gauge. An idle control switch helps improve your fuel consumption and reduces noise levels when there’s no load on the generator. The muffler is also designed for low noise, but they don’t provide dB levels for this generator. The Briggs & Stratton 30557 offers great value for money, taking into account that this generator is up to the hard working conditions that you’ll get on a job site and outdoor adventure trips. It certainly has enough power to handle most situations and the Honda engine is a tough piece of machinery. A 2-year warranty for residential use is good, but they only offer a 90-day commercial warranty. Even though this seems like high-grade industrial strength generator, they don’t offer a commercial warranty that compares to the Honda or Generac 6500W generators. Honda engines are usually covered by a 3-year warranty from the manufacturer, though I don’t see any mention of this for the Briggs & Stratton VOX. Does a 6500W generator provide enough power to meet your needs? As with any generator, we need to look at both your running watts and peak watts to determine how much you can run off the generator. Your running watts gives you the amount of power that you can draw from the generator on a constant basis and the peak watts is the power that generator will produce for a short period of time. Your peak wattage is to allow for high startup equipment. Most power tools require a higher startup current than what they use when running normally. Many household appliances will also require a higher wattage when starting. The most common of these would be refrigerators; air conditioners, heat pumps, and washing machines. Using a generator on a construction site is quite different to what we would use it for at home or to provide power for an RV, so I’ll discuss these two scenarios separately. It’s not that easy to say exactly what size generator you need for a job site because there are so many different tools and their power consumption can vary greatly. Though I can give you a basic outline of what to look for. When it comes to hand tools like drills, small circular saws, and orbital sanders, you really shouldn’t be too concerned. Small drills will generally use around 250W-300W and few hand tools exceed 500W. A large angle grinder can use 1000W-1200W. The smaller tools won’t have a very high startup current (usually around 25% of their running load), angle grinders can be as high as double the running watts. So with a constant load capacity of 6500W and peak of up to 8000W (or a little more), you can use quite a few hand tools at once. Even with these tools starting and stopping on a regular basis, you shouldn’t have a problem. 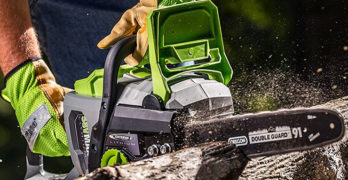 When you start looking at larger site machinery, especially air compressors and many job site table saws, you might find that you won’t be able to use too many hand tools in conjunction with these machines. 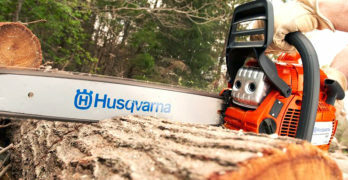 A job site table saw can use anything from 1200W up to 1800W with a startup requirement as high as 3000W (possibly more). Air compressors can go higher, depending on their capacity. 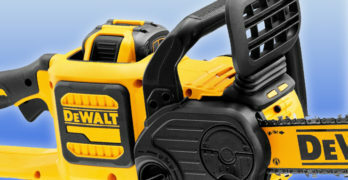 I’d recommend checking how much power your large tools draw and remember to account for startup wattage – this will usually be about double the running watts for larger tools and machines. These tools usually have the watts or horsepower on the machine, otherwise, you’ll find it in the instruction manual. If your power spec is specified in horsepower, it’s not too difficult to convert it to watts – 1 HP = 745.7W. If this seems too complicated. You can google “HP to watts conversion”. You’ll get a block into which you can type your HP spec and it will give you wattage equivalent. Once you’ve added all the tools that you’re using and then add your startup watts to this figure, you might come up with a frighteningly high running and peak watt requirement. You now have to consider how many of these tools you’re going to be using at the same time. This can only be an estimate, but it’s going to give you a more realistic idea of how many watts you need from the generator. You could also look at how you’re prepared to compromise. It will usually be the high-current machines, like an air compressor, that will tip the scale. Is it possible to switch off the air compressor periodically to allow you more available power for other tools? For the most part, you can quite easily get away with a 6500W generator to power your home in an emergency. An RV doesn’t have as many appliances and you’ll probably be able to run just about everything that you use in your RV with a running wattage of 6500W. I’ll start by saying that in either situation, try and use LPG (or piped gas) for your cooking needs. This will reduce your dependence on electric power considerably. In general, using a 6500W generator can be limiting when it comes to heating, so this would include hot water heaters and central heating furnaces. A space heater that uses 500W-1000W is going to be the best way to heat a room with a 6500W generator. Lets’ take a very general look at what you should expect to run off a 6500W generator in an average 4-bedroom home. With these appliances on at the same time, you’ll need a running watt capacity of 3000W and peak power of 5900W. This leaves you with power to spare. You might not be using all these appliances at the same time and it’s not that likely that they will all be starting at the same time. So you have room to add or subtract appliances. You might have more than one refrigerator and what about doing the laundry or taking a hot shower? A washing machine or vacuum cleaner is likely to use the same running and starting wattage as a room air conditioner, so you can substitute this. Hot water can be tricky. If you have a heat pump, it’s going to work better and should have about the same power consumption (including startup) as the air conditioner listed above. Conventional resistance water heaters will be about 2000W-3000W (sometimes more) – this is constant wattage and they won’t have a startup current. Basically, you could use all of the above-mentioned appliances, but not necessarily all at the same time. If you’re using a 6500W generator for your home and want all the modern conveniences, including running hot water, you’ll probably need to look at switching some appliances off whilst using others. This isn’t a huge sacrifice and, during a power outage, it’s quite easy to manage your electricity usage. It may take some getting used to at first and you might trip the generator’s circuit breaker while you’re learning what its limitations are. That’s the worst that can happen – you may have to go outside to reset the breaker. Though, you’ll get used to what you can use at any given time quite quickly. You shouldn’t be tripping the power too often. The alternative is to buy a bigger generator which is going to be more expensive and a larger generator is going to use more fuel – increasing your running costs. A 6500W generator is an economical way of having all creature comforts powered up during a power failure, without too much compromise.